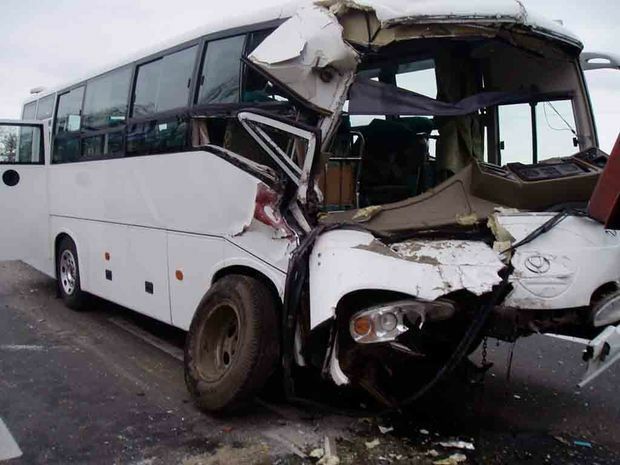 Two persons were killed and 16 others injured after a bus collided with a private car and a microbus in al-Sadat/Kafr Dawood Road in Menoufiya governorate on Thursday. Ministry of Health spokesman Khaled Megahed stated that 10 ambulance cars arrived at the incident’s scene to transfer the victims to the Central al-Sadat Hospital in Menoufiya. Megahed pointed out that the injured persons suffered post-concussion symptoms, fractures, incised wounds, abrasions and bruises in various places in their bodies. All injured persons received necessary treatment, Megahed asserted.